The Village of Wilmington, Vermont, has been on the National Registry of Historic Places since 1980. 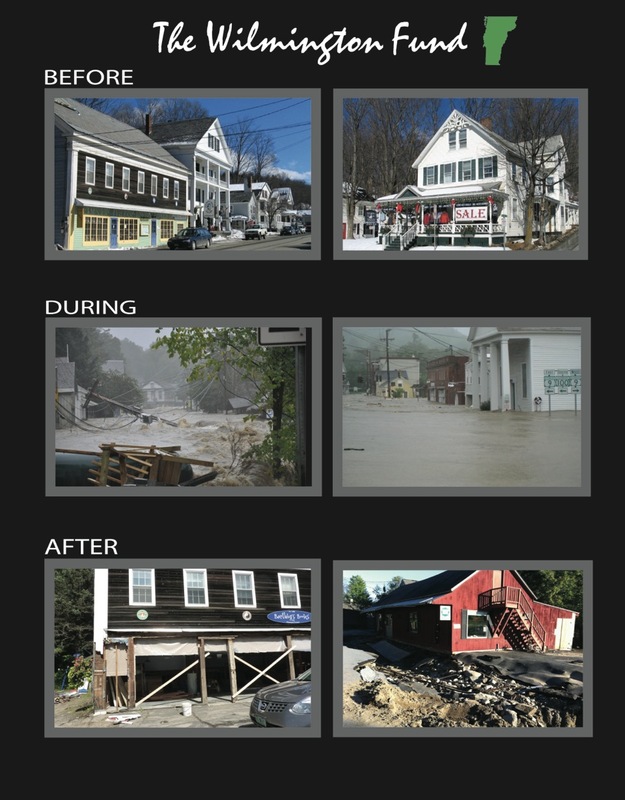 Its businesses were badly damaged by hurricane Irene on August 28, 2011 with the loss of 40 businesses with 120 employees, 20 apartments, and all Municipal services. All buildings sustained some damage, from flooded basements to total loss. Recognizing the importance of the village to the economy of the area, it is the purpose of this project to support Wilmington’s recovery by raising funds to help repair damaged buildings and to promote commerce and business activity through use of grants, low interest loans, real estate ownership, other investment opportunities and partnerships with like minded entities designed to promote job growth and economic opportunity for area residents.